If anything you see on my main blog QUILLIANCE catches your eye, I'll be very pleased to make it for you! I can despatch by post, anywhere in the world, and will quote you in advance for the cost of the item, inclusive of postage and packing charges. Payment is requested in advance by PayPal. Then e-mail me at: QUILLIANCEMAIL@GMAIL.COM to tell me what you would like. I can despatch by post, anywhere in the world, and will quote you in advance for the cost of the item, inclusive of postage and packing charges. Payment is request in advance by PayPal. 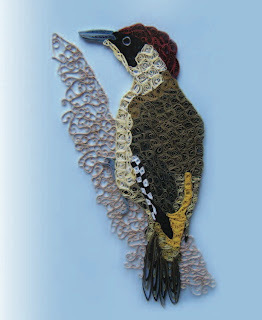 I can also arrange Quilling Workshops and Demonstrations for small groups - please ask for details. I believe that quilling has almost limitless artistic potential. That's why I combine it with digital graphics, seal it in resin, use it to make jewellery ... and much more besides! I'm constantly looking for new ways to push the boundaries of traditional quilling techniques. I write magazine articles about quilling, I teach quilling workshops, and am also an enthusiastic committee member of the Quilling Guild. All product designs are copyright Philippa Reid. Simple theme. Powered by Blogger.